This beautifully manicured private garden established in 1998, spans three acres and includes a Japanese Garden, Enchanted Forest, outdoor Dining Hall and two lakes with a cascading waterfall. Villa Verde, a privately owned garden, invites you to spend one of the most memorable moments of your lives amongst the grandeur of its landscape. Only 25 minutes north of the Melbourne CBD and only 5 minutes from the Melbourne International Airport. Villa Verde Gardens does not disappoint with its formal and informal settings that create a peaceful and tranquil ambience. The elegantly dressed rotunda offers a focal point for your intimate ceremony and is furnished with the beauty and delicacy of an exquisite bridal registry table and bridal chairs for the special couple. 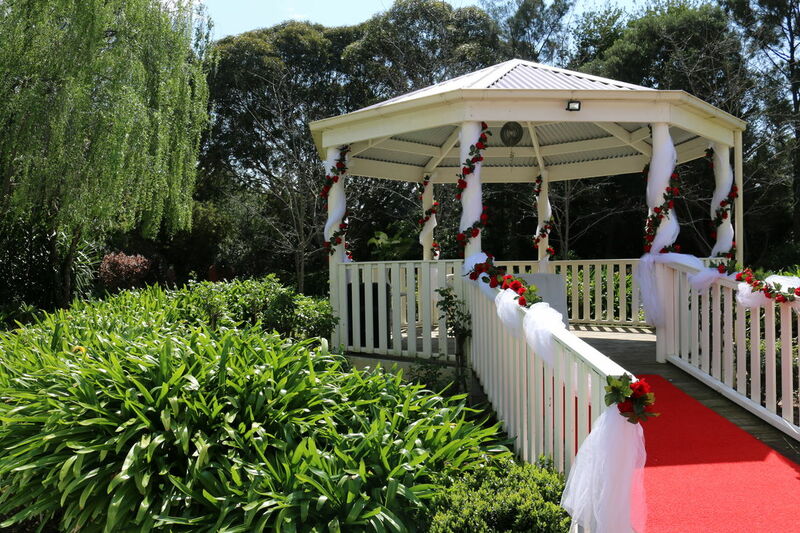 Following the wedding ceremony, guests are welcome to meander through the front gardens while memories are captured. Villa Verde Gardens offers numerous picturesque backdrops throughout the garden for all photographic opportunities. Choose from the lookout by the lake, amongst the Japanese Garden, Rocky's vineyard, the tree lined driveway or on the rustic horse drawn cart. And, if you time your wedding well, great shots can be taken in a romantic explosion of pink blossoms found in Blossom Avenue. We welcome all enquires and look forward to helping you with all of your wedding needs. Our aim is to ensure that your day is exactly as you had imagined it...perfect! Yes. A booking must be made for each function. Yes, two spacious bathrooms are provided. Do you have extra chairs? Yes, we have sturdy, unsinkable white folding chairs for up to 150 guests. 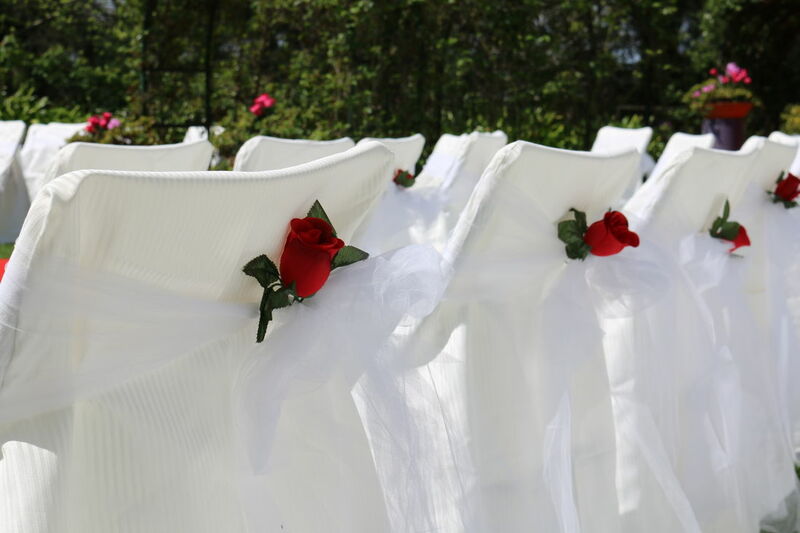 White silk chair covers and white tulle bows are available at an extra cost. Refer to Wedding Packages. The rotunda can hold a maximum of 20 people (standing room only), so please make adequate arrangements for inclement weather in the form of a marquee or umbrellas. Set up and pack up is your responsibility. Please notify Villa Verde Gardens 24 hours prior to your event. Can we wander through the whole garden after the ceremony? 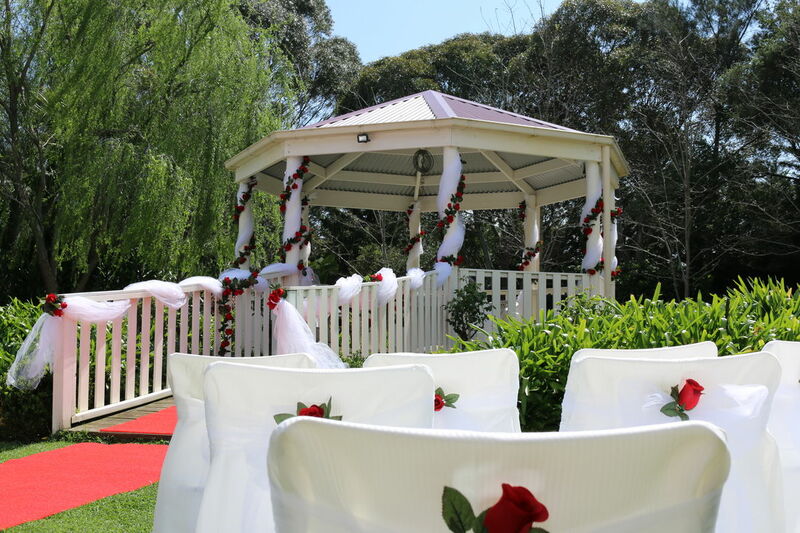 Only if it is part of your chosen wedding package, otherwise the garden will be sectioned off. Can we use confetti or rice? Rice is preferable as long as it is on the lawns. When is the garden at its best with regard to flowers blooming? A glass of champagne to toast the newlyweds is acceptable. Do you have a power supply in the rotunda or surrounding garden area? Can we add extra decorations ourselves? To confirm your booking, payment must be made in full. This will ensure that no other function will take place at that time. A 1½ hour hire of the grounds including Lake 1 and Lake 2, Vineyard, Orchard and Enchanted Forest.